Displaying 1-50 of 76 items. Uses: Christmas, Epiphany Scripture: Luke 2:1-7 The beauty of the unadorned human voice is on display in this new setting of a traditional French carol. Beginning in unison, the harmonies grow organically into a vast array of colors yet the linear voice leading is enabling for groups of many levels. Repetition further helps quick learning. The text is a true carol not only telling the nativity story but also foreshadowing Christ's redemptive mission. Duration: ca. 3:00. Uses: Christmas, Christmas Eve Scripture: Luke 2:13-14 This ancient carol from Canada mingles Native American imagery with the story of the Christ child. The novel arrangement returns the song to its origins utilizing a primal choral ostinato in the men's voices with the tuneful melody wafting above. Incorporating a full use of vocal ranges this atmospheric compositional approach hints at soaring angels and winter wind. Pristine as fresh snow, this a cappella offering provides a satisfying moment in your seasonal programming. Commissioned by Janet Galvan for the Ithaca College Composition Competition and Festival, Trumbore has set the contemporary poem Earth Day by Annie Finch. This poem is a celebration of all that the planet offers us as well as a plea to respect what we find here. The music reflects this joy and celebration. A unique and exciting Christmas offering for school or church use! Jonathan Crutchfield has taken a Youruban folk text and arranged it for SATB voices with a brief soprano solo and some very interesting percussion parts. Betelehemu gets its intense rhythms from African drumming techniques. This electric a cappella crowd-pleaser lends itself easily to choreography, and is extremely effective any time multicultural emphasis is desired. The demo recording heard here is by the First Baptist Church Sanctuary Choir, Huntsville, Alabama, directed by Harry Wooten. "Full of grace exceedingly..." nothing is as "Beautiful as she..." This buoyant Spanish love song includes words by Gil Vincente and extols the beauty of one beyond compare, asking sailor, soldier, and shepherd if they have ever seen such loveliness. Cantiga is sung a cappella, with the voices simulating the strumming of a guitar and providing percussive accompaniment to the melody. Great fun! Far from a typical Christmas work, this searching, insightful text illuminates the sacrifice that God already understood when He sent the baby Jesus to earth. Illustrating the emotions of the text, the music begins with the soft wonder we expect, moves to an aching and painful climax, and finally culminates in a restful and peaceful conclusion as we realize the magnitude of this innocent Child's birth. Don Macdonald is quickly becoming a composer known for his cross-over style combining classical integrity with jazz stylings. In his notes from the composer included on page 2 of the octavo, he encourages singers to use the notes as an outline but feel free to stylize the music. This is a real crowd pleaser. Uses: General, Concert, Contest Scripture: Philippians 3:20-21 Expressive melodic lines and phrases lend a sense of yearning and melancholy to the unwavering hope and peace found in the text of this folk melody. Aaron McDermid has arranged Come Sing to Me of Heaven with broad, open chords and tightly-woven suspensions. The slow, mournful opening gives way to a faster, contrasting middle section as the anticipation and hope of heaven builds. This moving contemplation of death and heaven is also a song of comfort, an emotional offering for concert or contest. The bells are ringing throughout each voice part in this gently lilting announcement of the coming of the newborn King. Comfort and joy, the Lamb is come; Peace on earth, goodwill to men, a Savior's birth in Bethlehem. For Christmas or Epiphany, Comfort and Joy is a gem. This stunning a cappella arrangement of the classic carol opens with the voices ad libbing cluster chords to imitate the chiming of church bells. A soprano soloist introduces the traditional melody and then both women's and men's sections are given verse and chorus with which to show off their individual blending and tuning abilities in four part harmony. Coventry Carol contains much dissonance in the form of chord clusters as well as tight harmonies. A great showpiece for your a cappella choir! A powerful, emotional text and rich harmonies express the passion of Christ's sacrifice. Using The Third Melody by sixteenth-century composer Thomas Tallis, arranger Lee Dengler expresses the inexpressible with vocal colors and textures that give tremendous depth of feeling to the awesome significance of Good Friday. The Creator has been crucified. With awe we glimpse its true import and dare to call it good. Arranger: Lee Dengler | Composer: Carl P. Daw, Jr. This famous prayer by St. Richard of Chichester is caressed by expressive beauty in this lush, richly harmonic setting. The piece unfolds naturally with the rise and fall of the text. The conservative voice leading makes for easy learning giving time for careful attention to maximizing the colorful contrasts that adorn the choral. Consider as a benediction for sacred service or prayer response for graduation or baccalaureate events. Sensitive. More experienced choirs will love the metric twists and turns in this fresh approach to the traditional Christmas carol. Using body percussion and stomping to accompany this traditional Irish text, Desmond Earley has captured the spririt and energy of Irish men who make a living at the sea. Set for 3 part men's voices and solo, a cappella, this is already a hit on Youtube and it will surely become a hit with your men and your audiences. This new edition of Exsultate lusti in Domino was prepared from Denkmaler der Tonkunst in Osterreich. An excellent example of eighteenth-centuray choral writing, this work is a wonderful teaching tool as well as an impressive performance piece. The double choir effect of women and men creates a rich texture, which routinely alternates between major and minor modes. The result is a complex sounding, yet only moderately difficult work, accessible to high school, college, and church choirs. "Go Tell It on the Mountain" has always been one of our livelier Christmas traditions and Carolyn Jennings's arrangement and additional text is spectacular. This exuberant arrangement for men's voices is bubbling over with joy and good tidings. Great for glee club or men's chorus, or to give the male voices in your mixed choir a moment in the spotlight. This is a real showstopper. Uses: Christmas, Concert Scripture: Luke 2:8-9 This classic benedictory hymn is painted anew with fresh and emotive harmonies bringing a lush contemporary distinctive to its delicate statement of fellowship and faith. Rising like a quiet prayer this brief but potent anthem is simply breathtaking. As a concert or worship service closer this is essential repertoire. Highly recommended! Available: SATB, a cappella. Duration: ca. 1:59. Very cool! A rhythmic and refreshing twist on a holiday favorite! "God Rest Ye Merry, Gentlemen" features dynamic syncopation and vocal interplay between parts. The traditional melody is presented in a slightly less than traditional way amidst the dramatic vocal ostinatos and countermelodies of the other parts, then finishes with fabulous glee club choral sound. This is one incredible showstopper! Joel Phillips takes the words of John 2:3 and touches it with a cappella beauty in this fresh new anthem. Suitable as a benediction or as a general use anthem, this choral uses a lush tonal vocabulary that brings to the text warmth and expressiveness that are very compelling. Joyful and ebullient! Effervescent! This happy German text comes to new life in Richard Hynson's delightful a cappella setting. Wonderful antiphonal effects come from fugal entrances in the voice parts and a layering of sound and texture. Hilariter is Latin for joyfully, and is the root for hilarity. Alleluya at its best! Uses: General, Concert, Memorial Scripture: John 14:2 An early American hymn arrangement is delivered with elegant craftsmanship in this a cappella jewel. Splendidly presented, the arranger seasons his arrangement with a gentle hand and achieves the proper balance of writer originality and stylistic authenticity. Available: SATB, a cappella. Duration: ca. 2:20. This arrangement of the familiar Norwegian carol, I Am So Glad Each Christmas Eve, offers both an English and optional Norwegian text for two-part treble voices and piano. The music box accompaniment adds to the merriment of the melody and text. Recounting happy childhood memories of decorating the tree, delicious smells from the kitchen, and the fresh retelling of the Christmas story warms the heart and the soul. A sparkling addition to your Christmas concert, children and parents will love drifting away into their fondest holidays past. Tight harmonies and a flowing mixed meter give this expressive anthem a smooth ebb-and-flow, give-and- take feeling, very much like the spiritual relationship described in the text. I Am the Vine is a beautiful worship or concert octavo. Uses: Concert Scripture: Romans 12:2 Rich harmonies and engaging textures characterize this affirming song of faith. A classic spiritual treatment for SATB or men's chorus! This lively neo-spiritual is a bright spot for any choral performance or worship service. Let Your Light So Shine is rhythmic and bursting with energy and excitement. A must for any choir! Chris Massa's Missa Brevis is a wonderful study in contrast. As with the divergent Kyrie and Gloria texts, the two movements are stylistically different. The slow and prayerful Kyrie is both chant-like and fugal, with voices entering and overlapping at varying intervals. The Gloria is boisterous and electric with an up-tempo, mixed meter, musical dance. For Lent or memorial services, this new work is dynamic. Don't miss it! Rich harmony and texture take this simple Irish folk song to new heights. Blaine Shover's a cappella arrangement of Molly Malone is a colorful tapestry of thick harmonic textures and pure, quiet unisons. 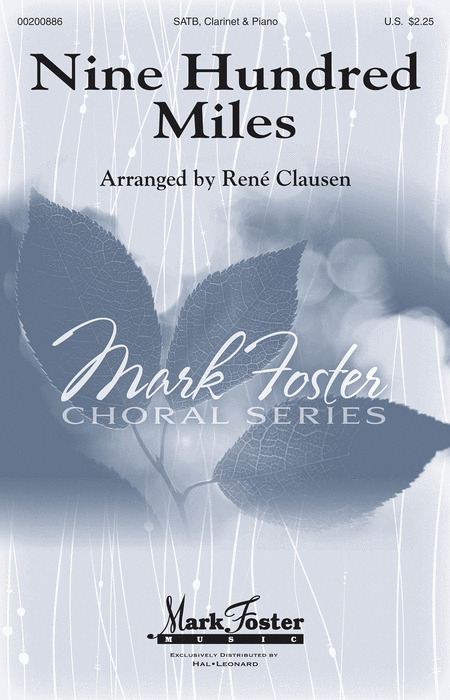 Written for SATB, a cappella, there is some divisi in each voice part, which adds to the brilliant collage of tone colors that permeates the piece. Melody and vocal accompaniment alternate between the men's and women's sections, then all four parts burst into lush harmony on the refrain. Great for contest or festival! Kevin D. Thomson : My Heart Is Steadfast, O God! 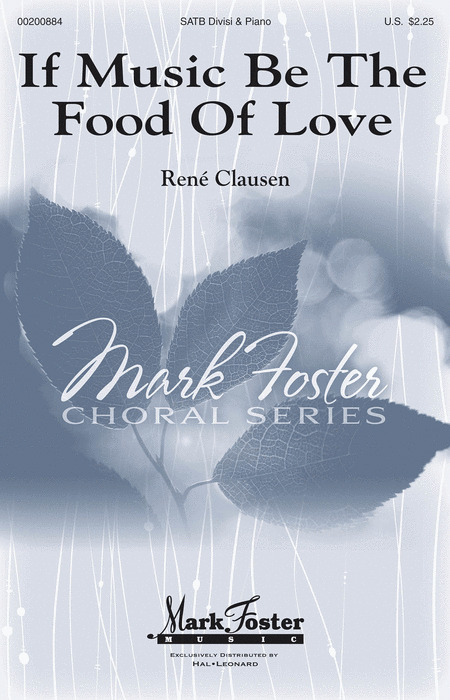 There is a joyful spirit to this a cappella choral from this new Mark Foster composer with a gentle "islands" feel, making it the perfect sorbet for your menu of music this year. Use the optional percussion for an authentic festive touch. The haunting melody of this a cappella Christmas work is harmonized in the Dorian mode and captures the irony of the Son of Man having no place to lay his head. No Room has a spiritual-like quality, yet the modal tonalities and occasional "jazz" chords give it a unique, almost ethereal feel. Seamless, chilling, and very moving. Performed by the West Coast Mennonite Choir; Larry Nickel, Director. Arranger: Roy L. Belfield, Jr.
Lee Dengler's setting of O Magnum Mysterium masterfully depicts the awesome wonder expressed in the text. A sense of divine mystery is heard and felt in this incredible mixture of close harmonies and dissonances, lush, open chords, and gently shifting meter. Exquisite! 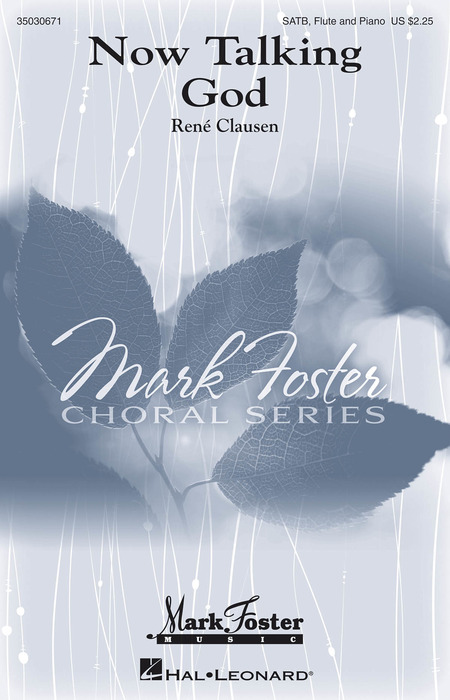 Uses: Christmas, Concert Scripture: Luke 2 The traditional Latin text about the mystery and majesty of the nativity is lovingly caressed in this evocative offering from composer Nicholas White, new to the Mark Foster catalog. There is great warmth in the chordal timbre of this excellent piece well suited for sanctuary or concert hall. The bittersweet quality of the writing makes this an ideal Christmas Eve selection. Recorded by The Tiffany Consort, Fiskdale, MA. Available: SATBB, a cappella. Duration: 2:48.